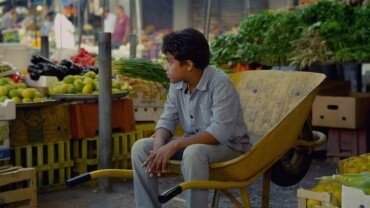 Mariam’s Chance is a film about a single woman (Sana’ Ayoub) living on her own. She is afraid of taking chances and has gotten used to living alone. Mariam doesn’t usually make any effort to be with someone. She doesn’t usually dress to impress nor make any effort to be noticed, until a certain event happens in the film. One day she finds a bouquet of flowers inside her house from what seems to be a secret admirer; this action and a few others during the course of the film make her go through mixed set of feelings including being scared, intrigued, happy and threatened.